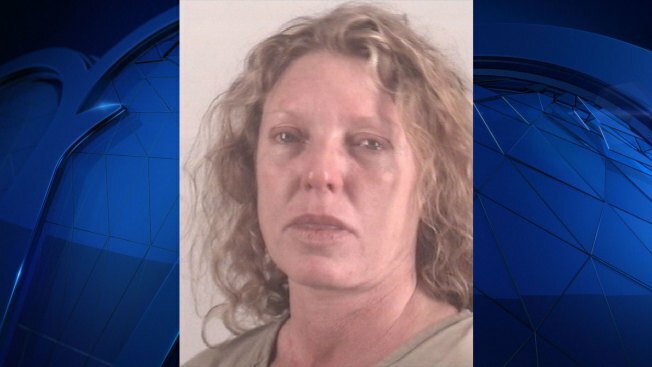 The so-called "affluenza mom" Tonya Couch was arrested Thursday evening after she was accused of violating conditions of her release on bond for failing a urinary test, Thursday, June 7, 2018. Tonya Couch was charged in 2016 with hindering the apprehension of a felon and money laundering and was freed after posting $75,000 bond. The felon was her son Ethan, who was facing allegations that he violated his probation in 2015. Ethan was 16 when he killed four people in June 2013, ramming a pickup truck into a crowd of people trying to help stranded motorists on the side of a North Texas road. He was driving at nearly three times the legal blood alcohol limit for adult drivers. Couch will have a hearing on the new violations at some point. It wasn't immediately clear if she had a lawyer who could answer to the accusation. Her son Ethan was released from jail earlier this year.